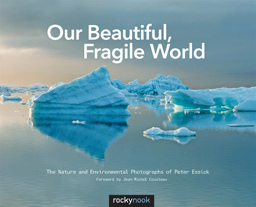 Peter Essick's Book "Our Beautiful, Fragile World" is a collection of images exemplifying the current state of our world and how many areas have been hard hit by human pollution and neglect for the environment. As a photographer, reputation management is one of the most important components to keeping your business above water. Ultimately, this is a word-of-mouth type of business where you need to keep doing great work to encourage others to talk about you. What to do if your images are stolen. Copyright ©1999-2015 Profotos.com (an independently owned company). All rights reserved.